Mr Bristow has become quite a household name on Breakbeat Paradise Recordings and is now back to drop his third solo EP called Drunk On Funk. This time around he has switch the hard knocking rap of MC Benny Silver with some silky smooth funky vocals from legendary Phil Ramocon. Mr Bristow has also brought along a harder ghetto funk sound, which has attracted some of the very best producers in the scene for remix duties. Ghetto Funk darling B-Side, J-Sound of Scour Records, DJ Clairvo one half of Jack Lemmon and Nynfus Corpand finally veteran funkstar Jazz.K.Lipa. Straight up bangin’ original vocals delivered by a true legendary songwriter and producer Phil Ramocon, who has been active in the music industry for the past 25 years, producing music for icons like Jimmy Cliff, Bob Marley & Gregory Issac as well as Take That and Cher. Together with Mr Bristow a huge ghetto funk anthem has been crafted with a feel good vibe of getting drunk on funk and party all night long! B-Side gets busy on it and does what he does best on his home turf with some huge bassline and catchy partyrocking beats, which leaves us longer for more. Luckily he’s gonna be back on BBP in the near future to drop a full 4-track EP. J-Sound slows it down a bit and blends it with some sweet piano hooks and some big boogie basslines. Just like the vocals calls for this remix has that feel good vibes and cool funky grooves. Dj Clairvo brings is down even an extra notch on his laidback remix with a hiphop twist and some latin vibes. Finally Jazz.K.Lipa returns to the label with some fresh moombathon flavours to end the EP right where I started – on the dancefloor. Let’s hope Mr Bristow and Phil Ramocon have a designated driver; they’re seriously intoxicated right about now. Oozing boozy style, Bristow’s bass whips back and forth with the midrange electro sound that’s similar to Featurecast while Ramocon gets his Edwin on with some really gutsy vocal business. Remix-wise B-Side adds a bit more oomph to the low end, J Sound switches up the smoothness with tinges of disco, DJ Clairvo injects some really nice sound steel string guitars and cosmic reverse effects while Jazz K Lipa closes the show on a future moombah flex. In short, there’s enough toxicity here for us all to get drunk. Mr Bristow smashing it! 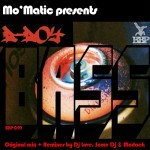 Bangin’ original and some top remixes. Diggin’ this release, all the remixes are well tasty and it makes me wanna get drunk, now pass me the funk. Clairvo and jazz.k.lipa remixes are ok. But not really something for me. Very tasty original track, also loving the B-side remix! hard to pick a favourite – each version brings something to the table!! Cool release, all dance floor friendly! Top work!!! The B-side remix rocks!! !